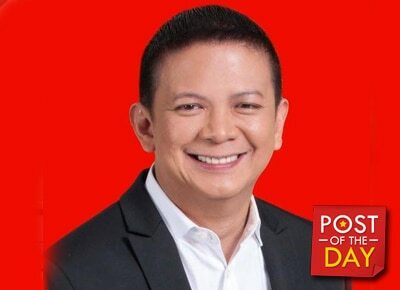 Sen. Francis "Chiz" Escudero and wife Heart Evangelista's parents, Cecile and Rey Ongpauco have let bygones be bygones ater years of a strained relationship. Heart happily shared a photo of her husband Sen. Chiz's moment with her parents during her sister Camille Ongpauco’s wedding on Instagram. What made it special was the photo captured the moment where Chiz was exercising the traditional Filipino mano to her dad. “A moment I didn't expect,” she wrote. 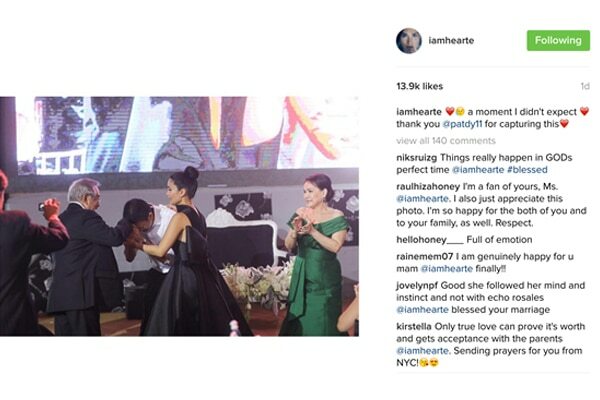 It may be recalled that Heart's parents openly shared about their disapproval for the lawmaker in the past, that even resulted to their absence on their Balesin wedding last year.